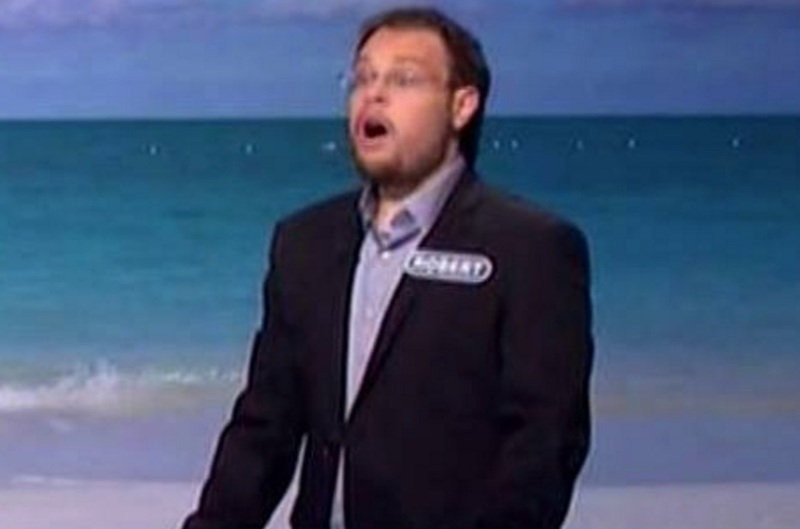 Back in December 2014, we were blown away when a Wheel of Fortune contestant guessed “The Lone Ranger” when he was given only one “E” to work with. Then, in February of 2014, another contestant managed to pull off the one-letter feat with “Championship Match.” So when Robert Santoli managed to guess “Port & Starboard” with only one letter, he may not have been the first contestant to do so, but one thing’s for sure: He definitely put on the most exciting game we’ve ever seen. In a video mashup posted to Facebook by the game show last week, Robert starts off by nailing the one-letter wonder. But that’s just the beginning! It’s almost like someone handed him a sheet of answers and he managed to solve nearly every single puzzle, many of them with just a few letters, enabling him to walk away with over $76,000 worth of cash and prizes. You can hear host Pat Sajak’s shock morphing into gradual acceptance of Robert’s skill (at one point, he even jokes “What took you so long?” after Robert buzzes in). Looks like his strategy totally paid off. Robert's game will have you laughing, celebrating, and almost a little teary-eyed! Robert’s game will have you laughing, celebrating, and almost a little teary-eyed!